Who is Doyle Brunson? 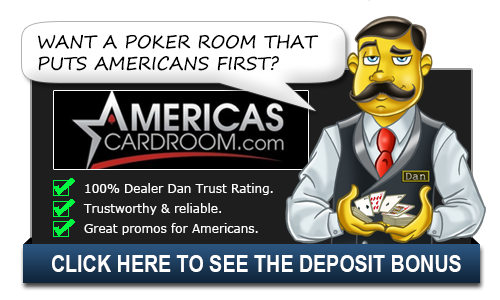 | Doyle Brunson Bio - Casino Answers! Doyle Brunson is an American professional poker player who has played professionally for over 50 years. He is the first two-time World Series of Poker (WSOP) main event champion to win consecutively and a Poker Hall of Fame inductee. He is the author of several highly influential books on poker including Super/System, considered a definitive guide to poker. Since then he has also authored Super/System 2 and a book of memoirs. Brunson is the first player to earn $1 million in poker tournaments and has won ten WOSP bracelets (tied with Johnny Chan for second all-time and one behind Phil Hellmuth). He is also one of only four players to have won the Main Event at the World Series of Poker multiple times. He is also one of only two players, (Bill Boyd is the other), to have won bracelets at the WSOP in four consecutive years. In addition, he is the first to win both the WSOP Main Event and a World Poker Tour (WPT) title. As a tribute to his contributions to poker history, he has a WPT event in his name. The Doyle Brunson North American Championship is the main event of the Five Diamond World Poker Classic at the Bellagio, in Las Vegas. The championship is the second largest tournament by entry fee on the WPT with its $15,000 buy-in, second only to the $25,000 WPT Championship. Currently Brunson owns and endorses an online gaming site, DoylesRoom.com, which made headlines in 2006 when the U.S. Securities and Exchange Commission announced it was investigating the operation. He is also an avid blogger, and writes a syndicated poker column in the London Telegraph. Born a Texas farm boy in August of 1933 during the heart of the Depression, there was no telling that Brunson would grow up to be one of the all time great poker players. He was all-state in basketball in high school and won the Texas State Championship running the mile, he had his choice of college and ended up at Hardin-Simmons University. He would play basketball there and even be drafted by the Lakers (Minnesota Lakers, that is) but a knee injury ended his pro career. He had only one real job in his life, but quickly learned that he was making more money playing poker than working and decided to pursue that full time. This wasn’t like someone deciding to go pro now as most games were considered outlaw games. Police and robbers were a definite threat, Brunson even saw a man shot and killed while sitting right next to him at an outlaw game. Brunson would team up with Amarillo Slim for some legendary adventures, but it was always poker that kept him coming back. The men along with Johnny Moss formed a trio that made a ton of money playing high-stakes games. The trio ended up breaking up after losing some big money, but poker was there waiting for Doyle. By 1976, he won his first World Series of Poker and followed that up with another win in 1977.